During the academic year, multiple student positions are available in Digital Scholarship. Students gain experience in web development, project management and design. 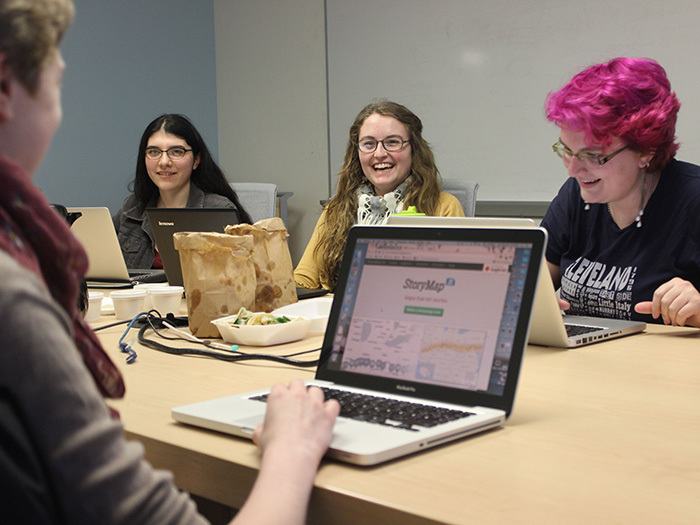 Each summer Digital Scholarship hosts student interns who work full-time on active projects. Summer projects frequently work to expand our existing set of capabilities and expertise. This program offers students a unique opportunity to work with technology experts from Digital Scholarship and research scholars from Special Collections to develop the skills they’ll need to utilize digital technologies in future research and thesis projects.